The North Carolina Highway Patrol arrested a man overnight on felony charges. 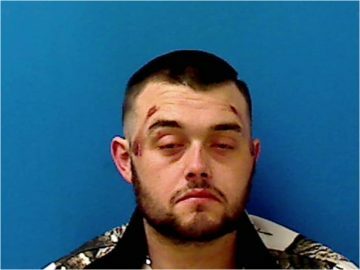 25 year old David Enoch McClellan of Hickory was taken into custody by troopers and charged with felony possession of a firearm by a convicted felon, possession of schedule IV controlled substance, and driving while impaired. McClellan was placed in the Catawba County Detention Center under a secured bond of $9,000. He will appear in court today on the weapons charge.